Most people who buy a home in Tallahassee go about the process in a random and haphazard sort of way, failing to hire a great buyer agent and instead letting the winds of chance determine their fate. And it is not like we don't see daily evidence of home buyers who have made huge mistakes. So many people are upside down in a home or have found they purchased the wrong home in recent years. I often wonder how much of this would have been avoided had each one taken the time to first interview and select a top real estate buyer agent. If you are planning on buying a home soon, make sure you don't get stuck with the "agent that comes with the listing," as your interests and your needs deserve better (don't they?). Process Knowledge & Counsel: ½% - There is a process to a real estate transaction that allows a home buyer such as yourself to experience less stress and less anxiety. For most people working with an agent, they experience at best controlled chaos through the process of the transaction. Our clients experience a well timed and structured process that leads to our end objective, a smooth closing. Knowledge of the market place: ½% - Few agents understand the effects of supply and demand in the market place. This age-old law dictates a lot of what happens in a local real estate market. To know the market, you need to track active listings, in predetermined price ranges and different areas of the market, as well as the number of homes sold monthly. This gives you a definitive snapshot of how the competitive market place is acting and what is the competitiveness of the market place. It will also provide you the advantage over all the other buyers in the market place. It will show you what market place is hot, what place is a little softer, what the market time is (the days on the market), as well as the real estate absorption rate. Do you see how this creates an advantage for you? A specialized needs assessment: ½% - We have designed a system to not only save you money when you buy a home in Tallahassee, but we also efficiently and effectively help you locate the best home for your needs. Most buyers use a random approach, but with a Joe Manausa Real Estate Buyer's Agent, you will be guided through a needs assessment that will unveil the right home for you, within your financial constraints. Helping you select the best property available for your needs, wants, and at a competitive price: ½% - Most people find a home in Tallahassee, get an agent, and then try to buy a home. This process is rarely in the best interests of the home buyer. We help you analyze all of the opportunities in the market, and then negotiate to save you money. Correctly constructing the contract to present you and your true intention: 1% - Inexperienced agents cost buyers a lot of money by failing to understand how to properly prepare a contract to best present the buyer to the seller. Our job is to make you appear to be the best buyer for the seller's home, and this can be reflected in many more ways than just price. Presenting you favorably to the seller and the other agent and promoting your capabilities as a buyer: 1-2% - Our knowledge and presentation skills allows your offer to be viewed more favorably than many real estate agents are able to do. We know how to structure an offer to best meet the needs of the seller while also saving you money. Having a buyer agent who is respected and trusted among her peers can be money in the bank for a buyer. Negotiating and representing you through the process of the negotiating: 1-2% -Knowing what to offer on a home; when to change and how much to change during a counter offer is the reason that a great buyer agent with an excellent home buying process will save you a percent or two when you buy a home. Financing Assistance: Helping you secure the best possible financing, with the best terms and the best conditions and enable you to have the best positioning: 1% -Most home buyers are not aware that there are thousands of different ways to finance a home, and each program has its own unique terms, conditions , and closing costs that might best suit the buyer. 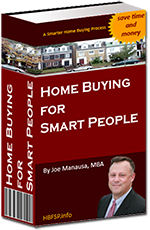 Hire a buyer agent who has this knowledge and you will save money. Helping you through the closing process, lowering the stress, and orchestrating the whole transaction: 1% -Buying a home should be fun. If you are not under great stress and you are fully informed, than you will make better decisions. Better decisions save you money when buying a home. Follow-up communication: PRICELESS - The number one complaint registered at real estate brokerages across the US is "I never heard from my agent." Hire a great buyer agent and you will be informed, and you deserve to receive timely communication in the manner that you prefer. Having helped thousands of families in the Tallahassee area, you can rest easy knowing that with each step of the process, your Joe Manausa Real Estate Buyer's Agent will complete it in a timely manner, with excellence, and communicate the activities all through the transaction to you. This significantly lowers risk, which is a benefit to you in the end. When you look at our complete process of representing your interests, you will see why choosing a Joe Manausa Real Estate Buyer's Agent is worth 7 to 10 percent when you purchase your next home. Want to know more about buying a home in Tallahassee (or anywhere in the US)? Just drop me a note and we can schedule a time for you to see our entire buyer agent process for helping you make your next move.